Welcome to Palestine Today, a service of the International Middle East Media Center, www.imemc.org, for Tuesday, August, 29, 2017. Two injured at least 14 other detained as Israeli troops invade West Bank communities. These stories, and more, coming up, stay tuned. Israeli soldiers invaded, on Tuesday at dawn, the northern West Bank city of Nablus while accompanying several buses of Israeli colonists, headed towards “Joseph Tomb” area, east of the city, and clashed with many Palestinians before wounding two and abducting one. Media sources in Nablus said the clashes lasted for several hours, and that the soldiers fired many live rounds, rubber-coated steel bullets and gas bombs. They added that the soldiers shot and injured two young Palestinian men, inflicting mild-to-moderate wounds. Joseph’s Tomb is revered by Jews, Muslims, Christians and Samaritans. Though Jewish Israeli settlers regularly visit the site to perform Talmudic rituals under the claim that it belongs to the biblical Joseph, historical novels stress that the tomb belongs to one Sheikh Yusef Dweikat, a local religious figure. Elsewhere, Israeli soldiers abducted, on Tuesday at dawn, fourteen Palestinians, including children, from their homes in different parts of the occupied West Bank. The Palestinian Prisoners’ Society (PPS) has reported that the soldiers invaded and ransacked several homes in occupied East Jerusalem, and abducted six Palestinians. In Bethlehem, the soldiers invaded several homes and abducted three teenagers. Three more civilians were detained as troops searched homes in Jenin, in northern West Bank. Furthermore, the soldiers invaded Jayyous town, northeast of the northern West Bank city of Qalqilia, and abducted one man. One civilians was also taken from his home located in the northern West Bank city of Nablus. 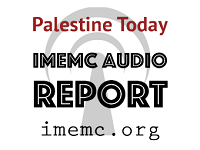 And that’s all for today from the IMEMC News; this was the Tuesday, August, 29, 2017, news round-up from the Occupied Palestinian Territories. From more news and updates, please visit our website at www.imemc.org today’s report has been brought to you by George Rishmawi and me Ghassan Bannoura.